Hofu Tenmangu Shrine in Yamaguchi Prefecture is a shrine dedicated to Michizane Sugawara, a scholar of the Heian period. Sugawara is revered as a god of learning. Hofu Tenmangu is one of the three Great Tenjin Shrines with Kitano Tenmangu Shrine in Kyoto and Dazaifu Tenmangu Shrine in Fukuoka. Among these three shrines, Hofu Tenmangu Shrine was the first one to be built. 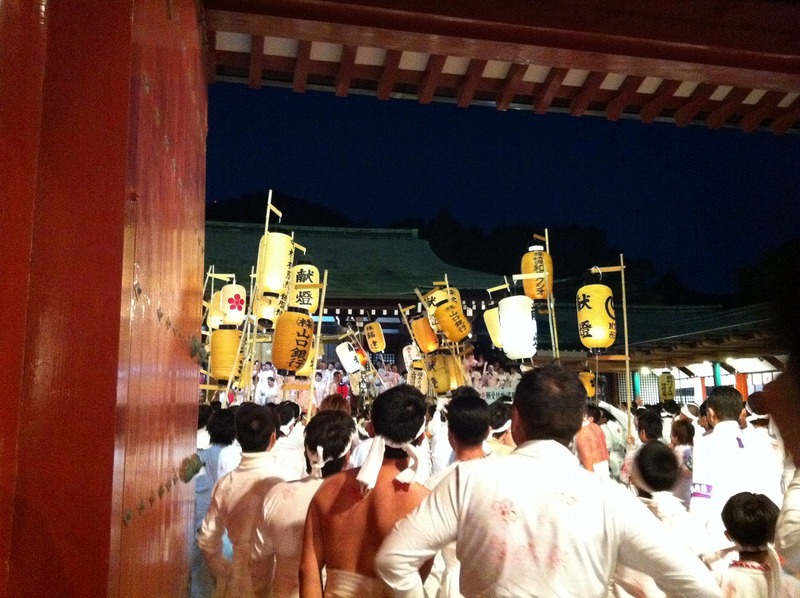 Various events are held throughout the year at Hofu Tenmangu Shrine. 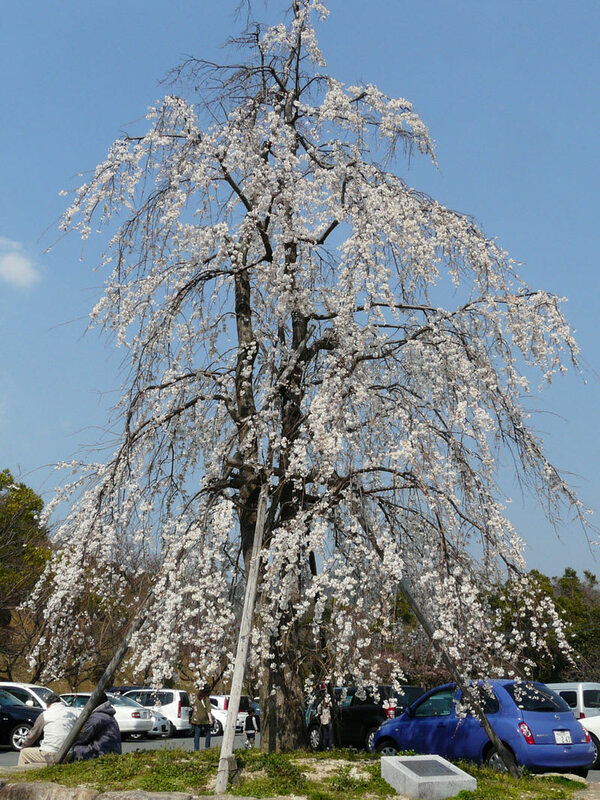 Blooming cherry trees are beautiful in spring and attract many visitors. 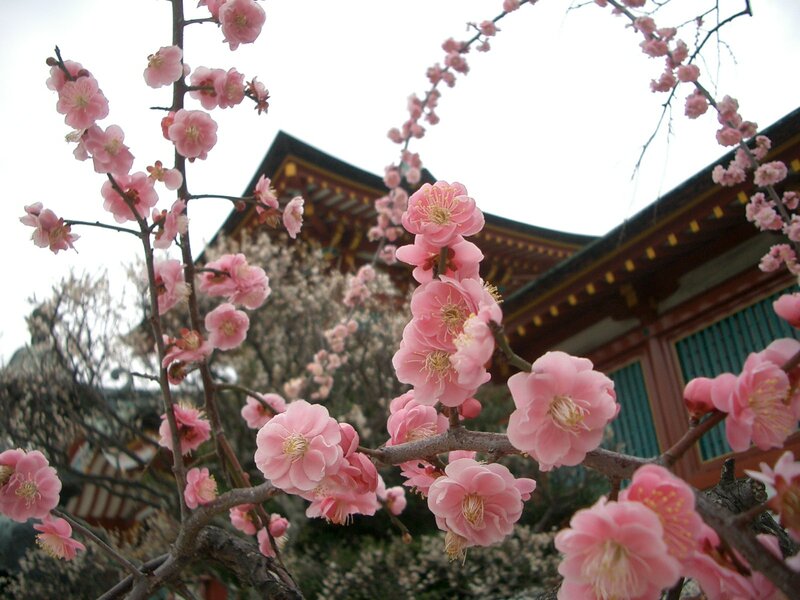 Plum trees also bloom beautifully : Plum Festival is held each year in February. Summer is the season of fireworks. 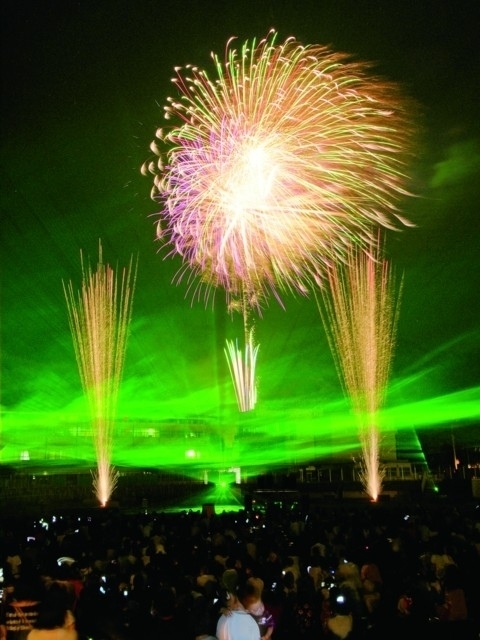 Fireworks are launched from the vicinity of Hofu Tenmangu Shrine and are accompanied by music for an even more spectacular effect. 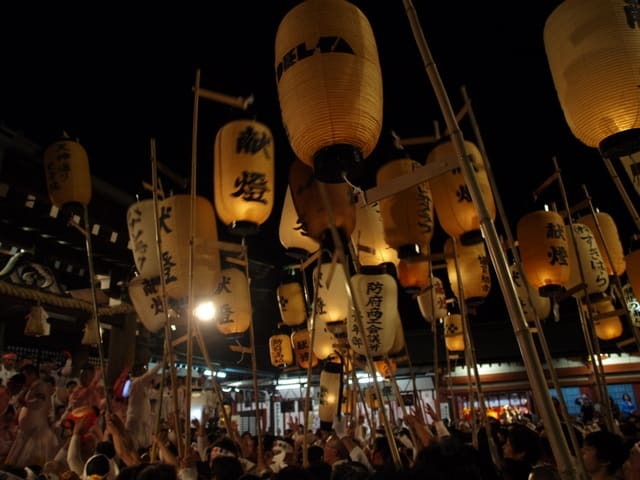 The largest event of Tenmangu is the Hofu Tenamangu Gojinko-sai Festival and it is held in autumn. It’s also called Hadakabo (half-naked man) Festival. 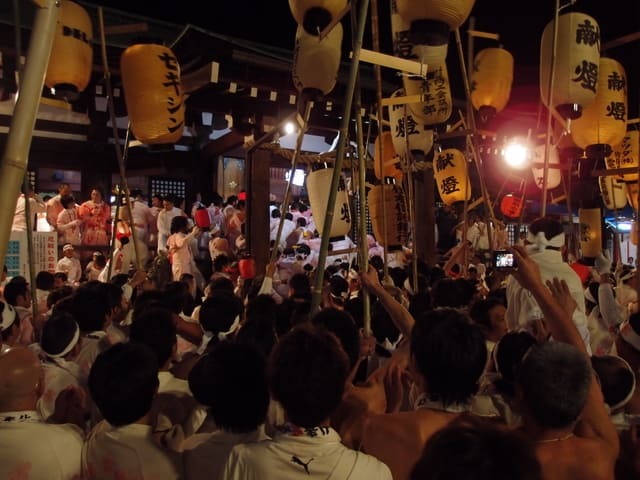 The city is filled with about 5,000 Hadakabo (half-naked men), and they heave a big carriage called Oajiro in the evening. The procession goes back and forth between Hofu Tenmangu and Katsuma no Ura, which has a connection with the arrival of Michizane Sugawara’s ship, while carrying two portable shrines. The procession going down the great stone steps on the way out and going up there on the way back offer a spectacular scene. Historical buildings remain in the precincts. Gyotenro is part of a ryokan (traditional Japanese inn). It is said that the leading spirits of the Meiji Restoration such as Ryoma Sakamoto stayed there at the end of Edo Period. Shunpuro is designated as a registered tangible cultural property by the national government. It was originally going to be a five-storied pagoda, however, it hit a setback because of the political situation and remained as we currently see. 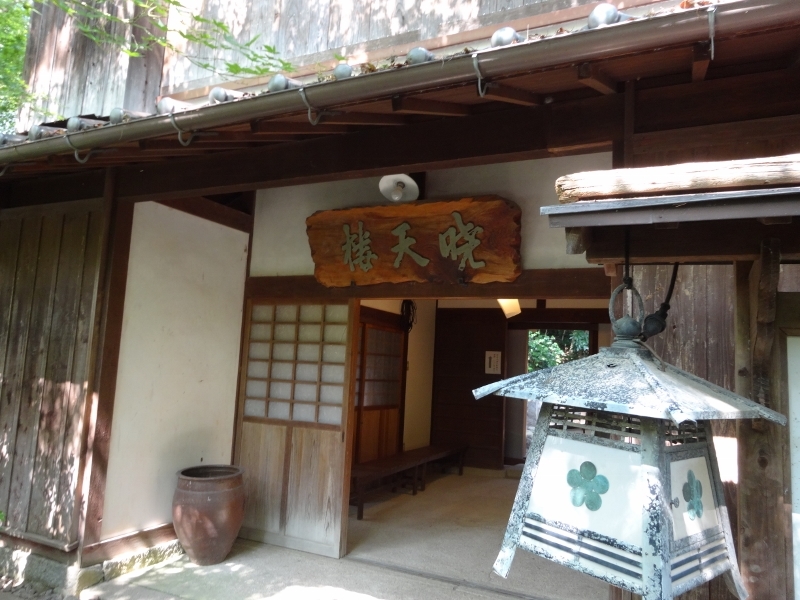 Hoshoan Tea House is as a place where Michizane Sugawara would have a cup of tea. 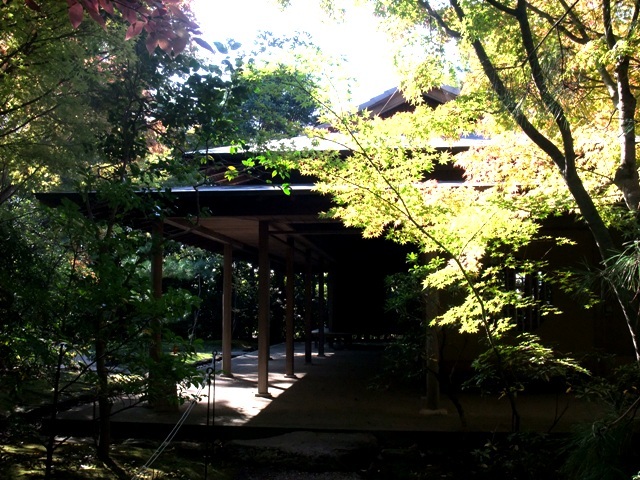 You will be offered macha (powdered green tea) while you enjoy the view of the beautiful garden. Directions: About 5 minutes drive from JR Hofu Station.